Japan's actions cinema continues to get it's influx of new budget fare from some of ,what are fast becoming cult Directors like Noboru Iguchi ,Tak Sakaguchi and the director of this feature Yoshihiro Nishimura. 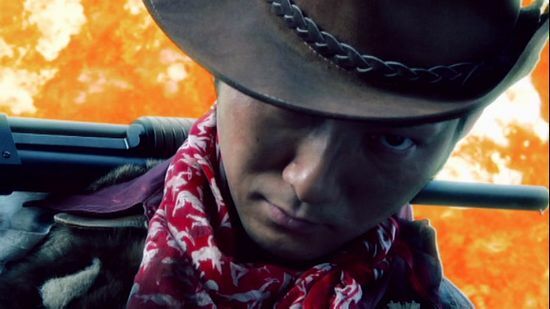 Famed for his solo directorial ,the quite amazing 'Tokyo Gore police(TGP) '' famed for his special effects work as well having worked on Meatball Machine and one of my firm favourites the brilliant'' Machine Girl'' directed by Noboru Iguchi and also did effects on Samurai Princess. 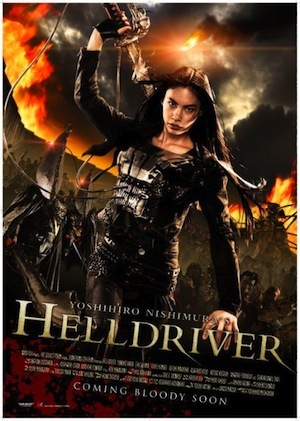 Now HellDRIVER is not Yoshihiro's next film after TGP ,He was also responsible for Frankenstein Girl vs Vampire Girl. Which tough had ample effects did not have the impact or quality in story or action that TGP did. So I was looking forward to seeing his latest piece ''HELLDRIVER'' . Now the story is quite simple and all you Day of the Dead and Resident Evil Fans will have a ball. Japan has been split into two after a Meteor crashed to Earth covering half of the country in toxic ash, this has resulted in half of the nation being turned into flesh eating zombies. A wall has been built to separate the infected from the unaffected , but of course someone’s bound to get eaten now and again. The Countries leaders agree to disagree in broadcast battles over what to do concerning the infected ,one wants to preserve their rights as Humans and try and live with them while his opposer wants to wipe out the crazed flesh eating neighbours . The main of the story concerns one young girl named Kika ( Yumiko Hara) who's home life is one of turmoil with her crippled father and mean Mother and Uncle who humiliate the father by hitting him and then turning their attentions to Kika when their fed up, It all gets out of hand when she returns home from school to find her father has been tortured by her mother and uncle who are in the process of making a Pate out of his legs which they have mangled . It gets even worse when her mother Rikka ( Eihi Shina) gets injured in a fight with her and then gets infected by the very thing turning everyone into zombies, Kika has to defend herself ,this results in severe injury to Rikka ,But having being infected by what seems to be a Alien life form that holds the key to the infected people . To me it's big Starfish on the back of her head , but any way after Rikka gets a large hole blown right through her she takes revenge on Kika by removing her heart and implanting it into her own body ,on the spot this happens ,it's all quite simple and may hold the key to future Heart surgery for many, Maybe Nishimura should talk to the National Health Service! Dumped by the wall ,Basically dead to the world ,i thought OK she's dead ,but No! , some crazy scientist has found her and after some work in his workshop which happens to be part of some government run Outfit. They fit Kika with a new mechanical heart with added sword which has a chainsaw attached ,this is all run from the mechanical heart , the only thing with the mechanical heart I thought it cumbersome and maybe the general pubic may not want 50 lbs of metal strapped to their chest,so I may call of the meeting with the NHS. Now the idea is that Kika is a experiment in finding a solution to the problem of the Zombie mob. 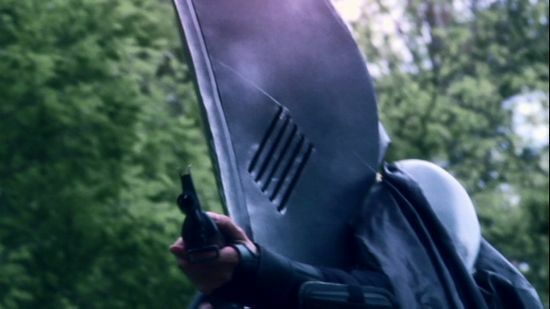 When she teams up with some Zombie hunters ,wh happen o sell the antenna like tumours that grow from all zombie's heads , of course once they have dealt with said zombie. It all seems like a set up when they all get cornered when a deal goes sour, Locked up and sentenced ,they have one choice ,but to become part of a team that will go into the Zombie zone and scout out the cause behind the infestation, just happens it's Kika's crazy mother and Uncle that seem to be causing the major havoc ,but then of course Kika's mother is controlled by a Alien Starfish (hope your keeping up with this ,now matter how crazy it seems) that's attached to her head. It's here that the film gets under way , and I mean the credits role ,yes the first forty five minutes was just the intro , after the beginning credits the film kicks in and becomes a Zombie road slaying movie with Kika and her comrades and new found friend Kaito ,(who is a ex-cop who's family was attacked and now he's looking for his daughter.) just so happens they spot her in the confines of a Zombie controlled village where Humans are kept in cages until they are needed for food or general ripping apart pleasures. It's here that the films special effects come into their own with all manner of shape shifting, fighting zombies giving it large in the ,hey look at me I have eight arms and Sword up my bum or as in the case of one zombie who has eight swords used as legs. Each of our characters have their own demon zombie to deal with ,Kaito dealing with Kika's Uncle who Kaito has to give chase to in his truck. But of course in the end the one they one they must face or at least Kika must is her mother who now has become a magnet for zombies as she combines with them in which ends up like a Plane mad of the undead. 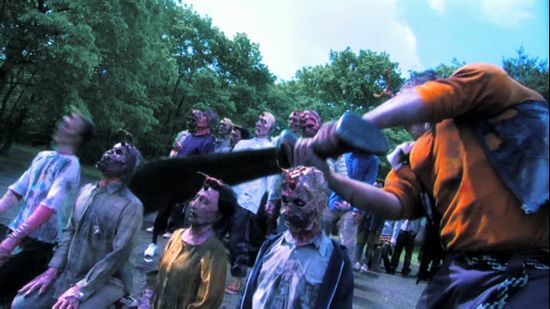 Now of course the government has recruited many more lost souls like Kika and now have a army of Zombie hunters all equipped with chainsaw swords and helmets which look very cumbersome to wear . 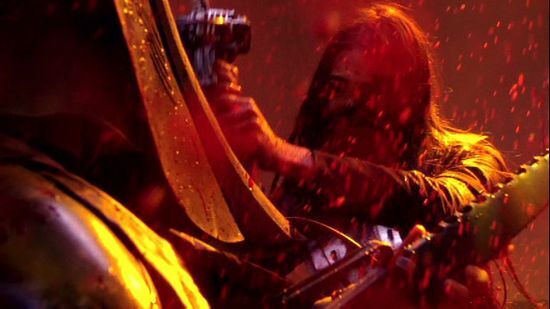 So should you see Helldriver ,well of course you should ,it's one mad ride , the effects are cool ,though maybe not up to something like Robo Geisha or Mutant Girls Sqaud (which Nishimura co-directed). It could have done with a slightly less run time ,but this is more to do with the slow start ,lopping of fifteen minutes would have cracked it. Of course with all this action and being a Japanese film ,you must ask, how was the choreography? It's here that the film lets it self down slightly ,the fights are a bit messy and and there's not many dynamic scenes of arse kicking swords and fists , unlike Nishimura's earlier ''Tokyo Gore Police '' which oozed style in the fight stakes. 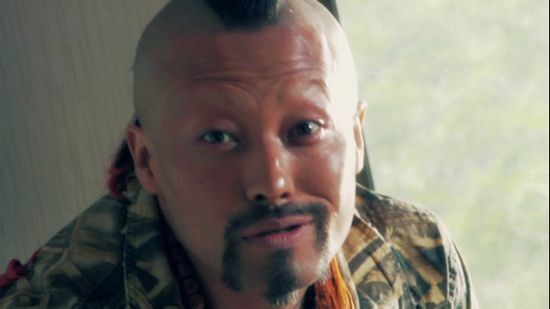 But then he did have Tak Sakaguchi on hand for the fight choreography in that film and in Mutant Girls Squad. So if you don't mind the scenes of bodies being mutilated and some completely of the ball story then HELLDRIVER may be for you , I look forward to the next Film Yoshihiro Nishimura and hope he improves or at least matches his work on Tokyo Gore Police. But for now Helldriver may just Drive you in the right direction.